Everyone around me is naked and I’m really not sure where to look. 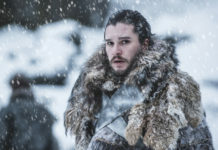 Blushing furiously and keeping my bikini firmly on, I avert my eyes from the flesh on display in the Japanese thermal baths of Diamond Princess and make my way outside towards the open-air pool. As I make myself comfortable on one of the luxury day beds, Mount Fuji suddenly looms into view, its majestic peak rising against the sky. My Asian adventure began in Tokyo, where I spent a few nights getting acclimatised, enjoying the bright lights of Shibuya crossing, Asakusa, the tranquillity of the Meiji Shrine and a lot of conveyor belt sushi washed down with copious quantities of sake before embarking on my Diamond Princess voyage. 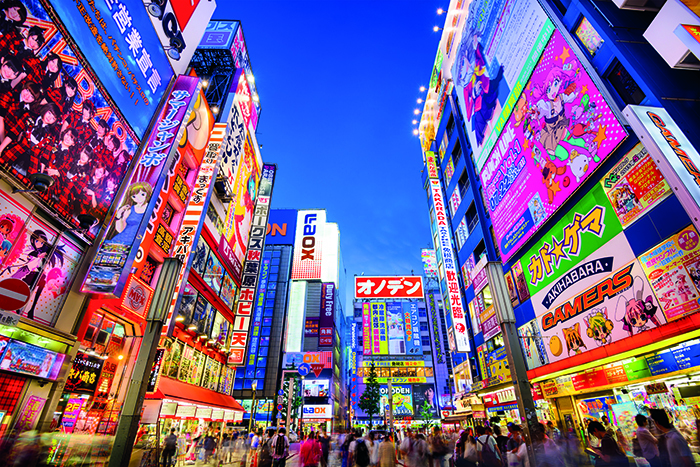 Tokyo offers an intoxicating blend of tradition, style and sheer craziness, and it’s one of the best cities in the world for a stay-and-cruise adventure. Plus, of course, there’s the never-ending array of surprises offered by Japanese toilet controls – particularly confusing if you’re fighting jet lag and press the wrong button. I join Diamond Princess in Yokohama and we glide out to sea on a late summer’s evening just as the sun is starting to set. My balcony stateroom offers the perfect vantage point to admire the pretty big wheel (a hallmark of many Japanese ports and cities). As I’m still very much in Japanese mode, my first dinner is at Kai Sushi, the fabulous onboard sushi restaurant that serves authentic, freshly-prepared seafood delicacies including nigiri sushi and sashimi. There are 2,500 Japanese guests on this sailing on Diamond Princess, and the rest are either British, Australian or American, but it never feels particularly crowded. 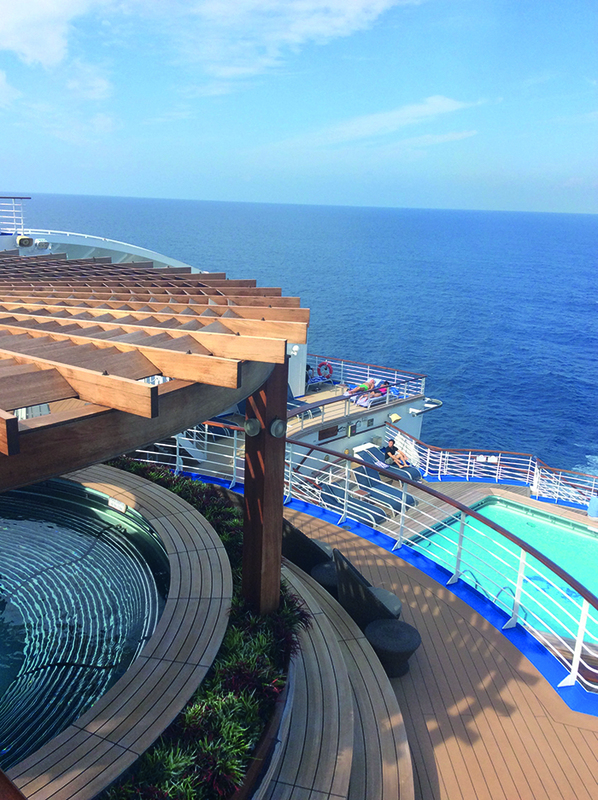 One of the best things about Diamond Princess is that it has lots of places to relax, which makes it utterly blissful on sea days. My personal favourite area is the aft of the ship, where there’s a good-sized pool – one of three on board – a whirlpool and plenty of sun beds. The majority of the Japanese guests tend to congregate around Movies Under the Stars, so you’re never fighting for somewhere to sit. This is also the location for Izumi, the Japanese thermal bath retreat where I decide to protect my modesty while my fellow guests let it all hang out (there’s a surcharge of $15 to use the facilities and booking is essential, but as an authentic experience it’s not to be missed). I also spend quite a lot of time in the spa, which offers Elemis treatments, a rain shower, heated beds and a sauna, making it a fantastic haven when it starts to rain. I opt for a tailor-made facial and my therapist seems to have magic fingers, because I emerge an hour later looking a good 10 years younger than when I went in. 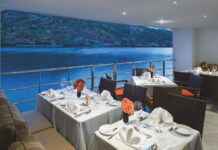 As this is a Princess ship, the onboard restaurants include the Sterling Steakhouse, where I enjoy a delectable surf ‘n’ turf served with creamed spinach, mashed potato and asparagus, and heavenly desserts including raspberry crème brûlée and lemon meringue tart. After all the Japanese food I’ve been living on it feels very indulgent and I’m almost too full for a complimentary glass of Grand Marnier at the end of the meal (almost). It’s worth every cent of the $29 cover charge. 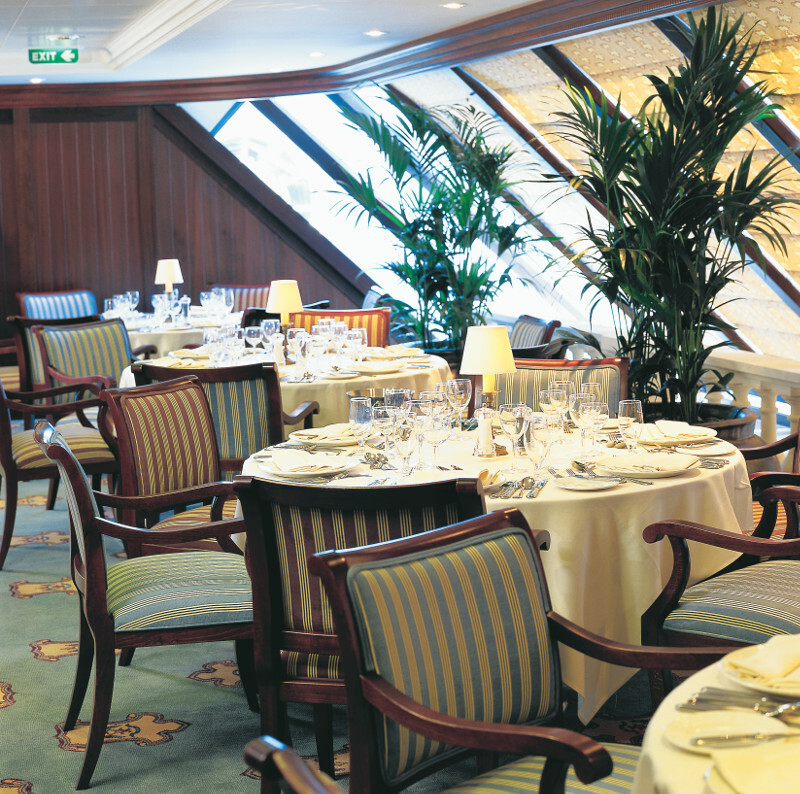 By far the most popular restaurant on board, however, is the Italian, Sabatini’s. In fact, this is rammed nearly every evening, so I would definitely recommend booking as soon as you can. 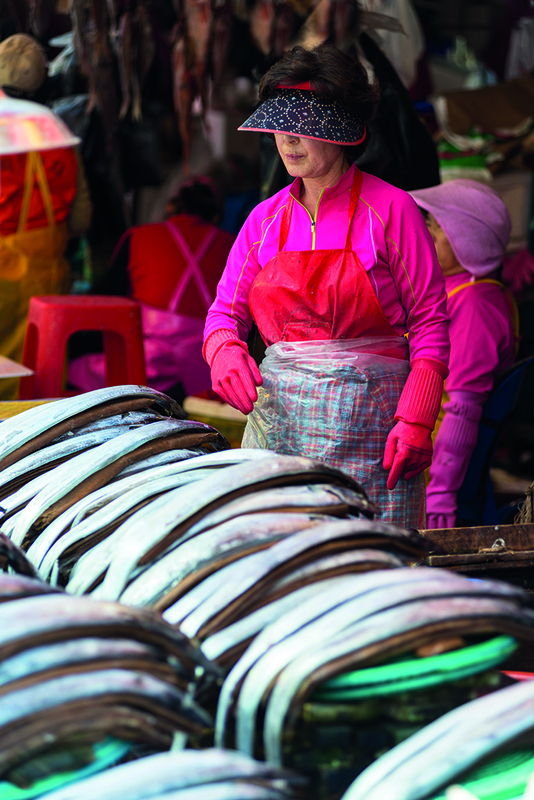 Arguably the main attraction of this particular itinerary is the chance to visit Busan in South Korea; given the current situation with the North, there’s a slight air of trepidation about being in this part of the world at this particular time, but also a real sense of anticipation and excitement and a feeling of doing something out of the ordinary and special. Neither Busan or its people disappoint. Our guide is incredibly enthusiastic, talking fast and offering quizzes and prizes as he tells about his country, its customs and people. He also provides commentary for a moving video about the history of Korea, including the aftermath of the war, when so many people starved, and listening to him describing the events in broken English moves me to tears. At the Beomeosa Temple, much of which dates back to the ninth century, I marvel at the exquisite decoration, and am enchanted by the colourful lanterns on display. Built on the side of Mt. Geumjeongsan, Beomeosa is extraordinarily picturesque. 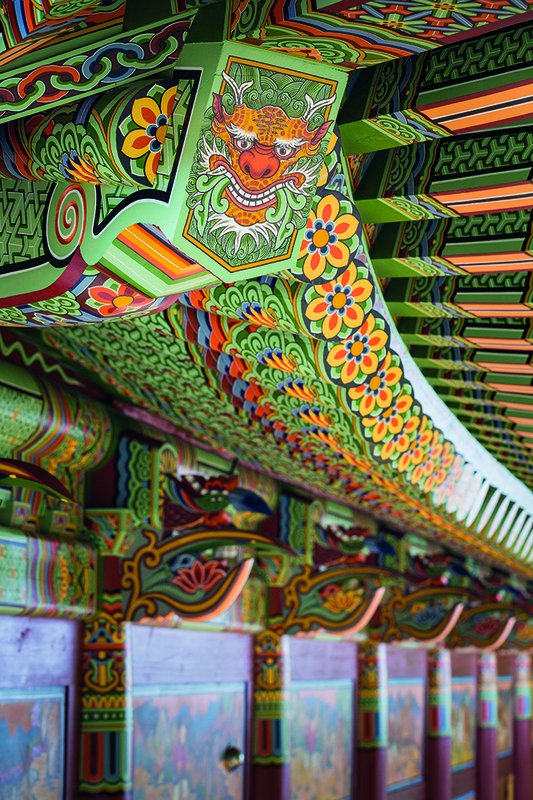 It’s a Hwaeom (Korean Buddhist) temple, and we learn that one of the principles of this religion is to pursue a life full of happiness and generosity, which sounds rather appealing. Afterwards I wander around a few roadside stalls selling fresh ginger and chestnuts and, with the exception of one elderly lady who objects to me taking a photo of either her or her wares and gestures at me with a sharp knife, everyone is friendly and cheerful. The sun is starting to set, bathing Busan in an orangey glow as we make our way to the Jagalchi fish market (or ‘Aunt’s’ fish market, named after the women who started it during the Korean War in the early 1950s). It’s a very different proposition from the temple, a bit smelly but full of life. I’m not a fan of seeing fish and seafood in tanks, but it’s certainly interesting, as there are many varieties of sealife that none of us have ever heard of before (and some I wish I hadn’t known existed). We follow this with a tour of the night market. I have been to Asian night markets before and they’re usually incredibly noisy and chaotic, but there is a peaceful quality to the one in Busan, a calm, relaxing atmosphere. Maybe this is due to Hwaeom again. 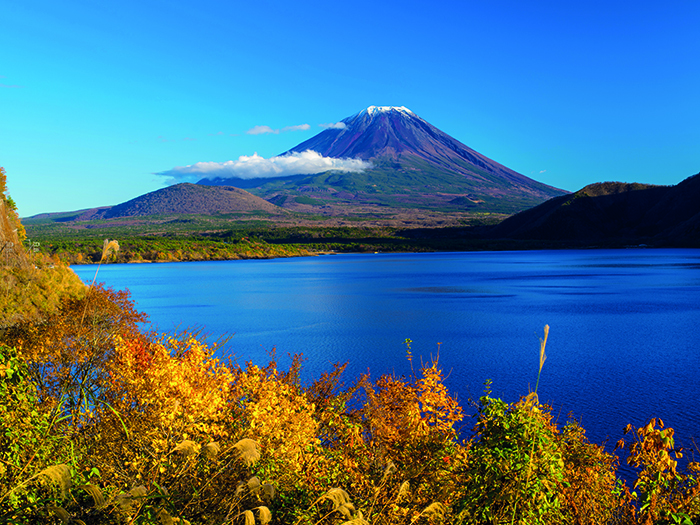 The other highlight of this itinerary is Shimizu, the gateway for glorious Mount Fuji, one of the most iconic sights of Japan. On our final sail away there are fireworks with Shimizu’s big wheel illuminated, glowing prettily against the night sky, and I’m sad to be disembarking. Back in Tokyo, I enjoy a few more days of sightseeing, shopping in Ginza and sparkling sake in Shinjuku before my flight home, as well as more fun and games with Japanese toilet controls. Never gets old. WHERE TO STAY: Located in the prestigious Marunouchi district close to Tokyo Station, the contemporary and stylish Palace Hotel Tokyo has an outstanding location just a short walk from the Imperial Palace gardens. Service throughout the hotel is anticipatory and impeccable. 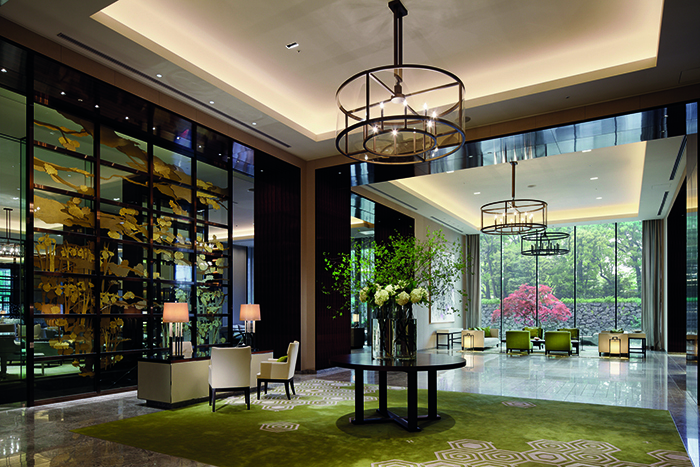 The welcoming lobby, infused with a signature essential oil, is furnished in soothing tones with exquisite artworks, and the Grand Kitchen restaurant serves an outstanding breakfast with dishes cooked to order and outdoor seating adjacent to the Imperial Palace moat. Rooms are elegantly furnished in gold, grey, taupe, silver and mauve, with feather-soft beds and clever touches such as remote control blinds and mood lighting, as well as a very cool mini bar boasting a wide selection of miniatures. Water, coffee, tea and the shoeshine service are all complimentary. Bathrooms have covetable Anne Semonin products, rain showers and soaking tubs, while the turndown service includes a nightgown and eye mask left on your bed. And there’s also a rather splendid swimming pool and fitness centre – the perfect place to unwind after a long flight. 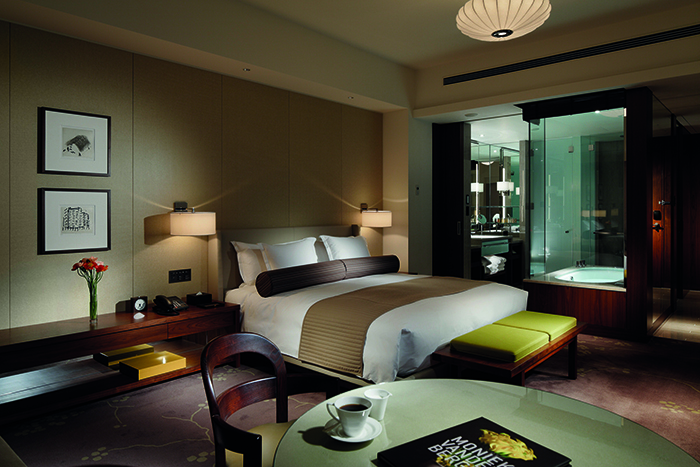 Rooms from £310 per night in a Deluxe King Room based on two people sharing (palacehoteltokyo.com). 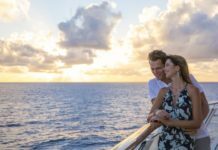 GETTING THERE: A five-night round-trip cruise on Diamond Princess from Yokohama, Japan, calling at Kanmon Straits, Japan; Busan, South Korea; and Yokkaichi, Japan, starts from £1,549pp (based on two adults sharing an inside stateroom), including flights. Price includes all main meals and onboard entertainment. For further details, call 0344 338 8665 or visit princess.com. 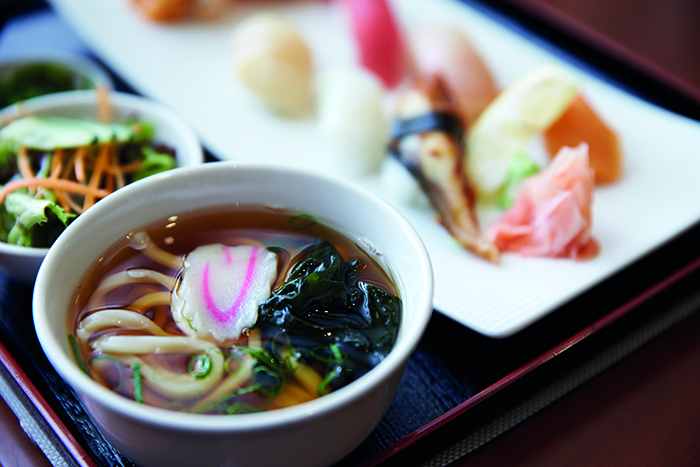 You can find out more about travelling to Japan at jnto.go.jp.